We see that you are having trouble logging in. Please call the Competiscan Help Desk (312) 488-1810 or email us: contactus@competiscan.com and we will help reset your access as soon as possible. Competiscan offers longitudinal marketing and communications sent to prospects, customers, business owners and financial advisors. 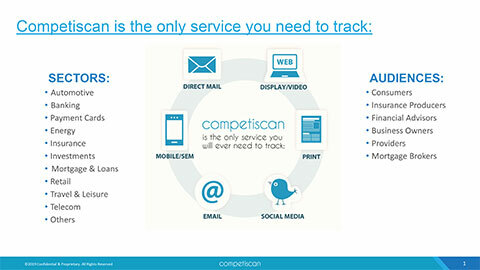 Available to clients through access to Competiscan’s database through an annual subscription. 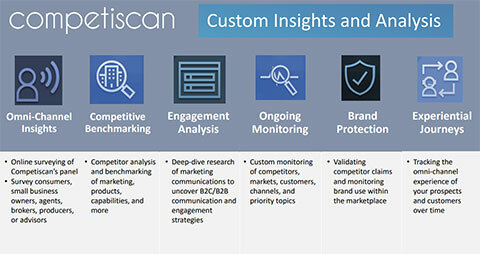 Competiscan offers custom research capabilities that address client’s targeted research needs and are completed by our industry-leading analysts.